Grace Under Pressure: García Bernal plays a journalist imprisoned by the Iranian regime in Stewart's fact-based directorial debut. Jon Stewart's feature directorial debut, Rosewater, is two films in one. One is a fairly standard "uplifting," awards-friendly movie about how journalist Maziar Bahari found inner strength during 118 days of captivity and interrogation in Iran. The other is a darker, more ambiguous film that asks: Do you have to be a ranting ideologue to survive in a world of ranting ideologues? Or are skepticism and satire powerful tools for change, too? Any viewer of "The Daily Show" knows how Stewart would answer that question. But ideologues don't always appreciate irony, nor does it translate well. When the real Bahari, a Iranian Canadian journalist, was arrested while reporting on the 2009 Iranian presidential election, he was accused of "media espionage." The evidence? A skit Bahari had filmed for Stewart's show, in which he was "interviewed" by comedian Jason Jones playing the role of a bumbling American spy. The film, based on Bahari's memoir Then They Came for Me: A Family's Story of Love, Captivity and Survival, clarifies that the comedy skit wasn't the sole or primary reason for his incarceration. 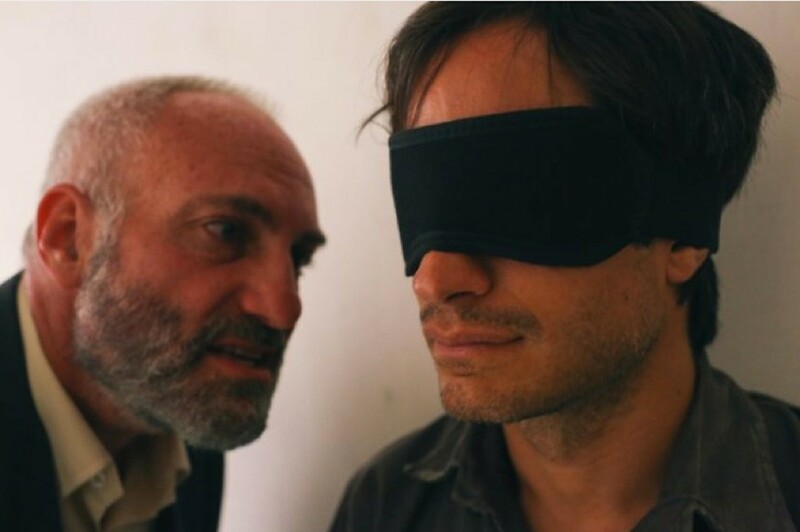 In early scenes, the Newsweek reporter (Gael García Bernal) befriends his Iranian driver (Dimitri Leonidas), who introduces him to a set of young dissidents who use satellite dishes to capture uncensored news. When Mahmoud Ahmadinejad is reelected president, they take to the streets to dispute the result, and Bahari finds himself capturing explosive footage of soldiers firing on the crowd. The movie portrays Bahari as a reluctant activist, politically cautious as a result of tough formative experiences — his father and older sister were imprisoned by successive regimes. But by publicizing his footage, he crosses a line. Soon he's in solitary confinement, where a nameless interrogator (Kim Bodnia) badgers him to "confess" that the protests he filmed were a fraud cooked up by the CIA. These sessions, which move quickly from "conversation" to physical and psychological abuse and back again, are the heart of the film. Stewart's screenplay invents a cursory backstory for the interrogator (whom Bahari called "Rosewater" for his scent) and suggests that he, too, is somewhat reluctant to play his part in this ugly charade. But the focus stays on Bahari's struggle to preserve his dignity, which is dramatized through imaginary conversations with his deceased father. "Believe in something, goddamn it," the old man tells his son. "That's your only hope." Like many of his and Stewart's generation, however, Bahari sees no strength in dogma — certainly not in the communism that sustained his dad. He needs to find his faith elsewhere: in love, in family and, in one memorable scene, in humor. No doubt Stewart wanted to avoid making a movie so punishing that audiences would avoid it. Rosewater deserves credit for conveying some of the complexities of Iranian history and politics to a broad audience — even if it doesn't employ many Iranian actors. But ultimately, it feels like a bit of a pulled punch. Bahari's confrontation with Rosewater has funny, horrific, Kafkaesque dimensions that the movie evokes, then shies away from. The skeptic forced to defend himself against true believers — and decide what, if anything, he believes in — is a great subject for Stewart, maybe the ideal subject. But here we get only a whiff of what might have been. Rosewater is not showing in any theaters in the area.